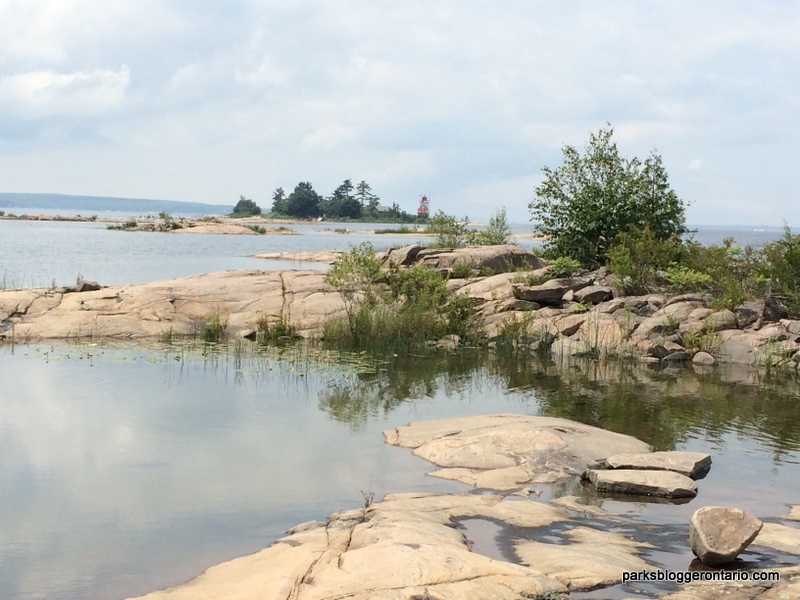 If rocky trails, serene views and shoreline campsites interest you, then you should not miss hiking the northern trails of Beausoleil island the next time you make a visit to Georgian Bay Islands National Park. 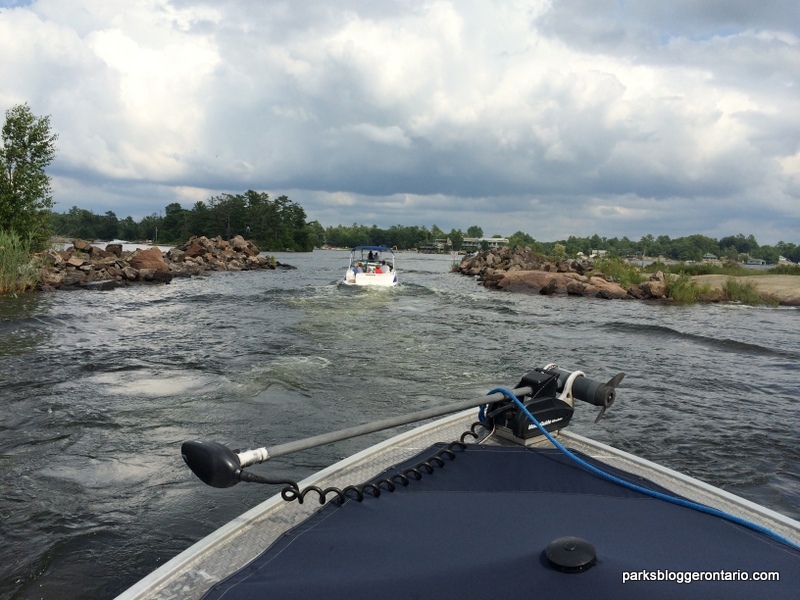 In my earlier post I shared my experiences from hiking the southern trails of the Beausoleil island and in this post I will be exploring the island’s northern trails. 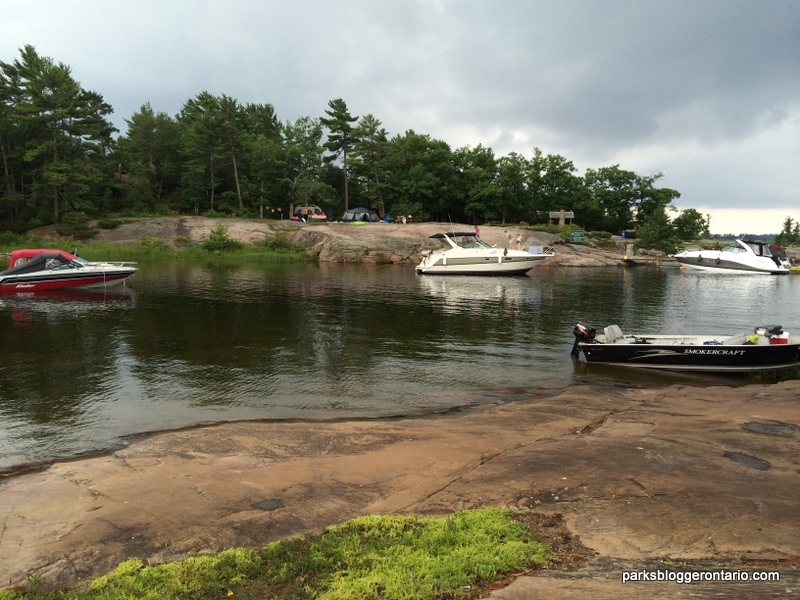 On our second day of the trip our water taxi friend Chris picked us up at Honey Harbour dock and took us to Chimney Bay the most common drop-off point and a popular retreat dock area in the northern beausoleil island. The dock area as such was very lively filled with relaxing boaters who docked their boats and was enjoying their beer on the beautiful sunny day. 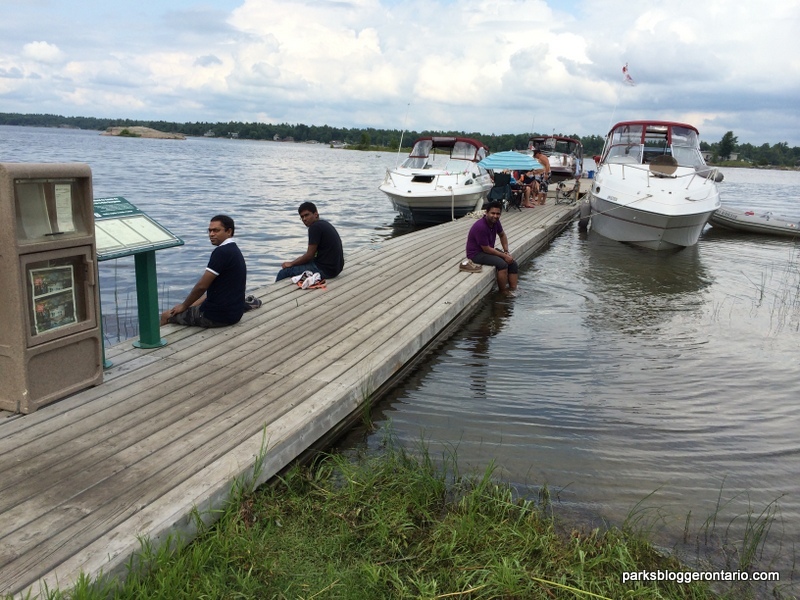 We walked past the docked boaters and embarked our journey to explore the north. We made sure to stop and apply enough mosquito repellants as we have had enough ordeal with these tiny troublers the previous day. 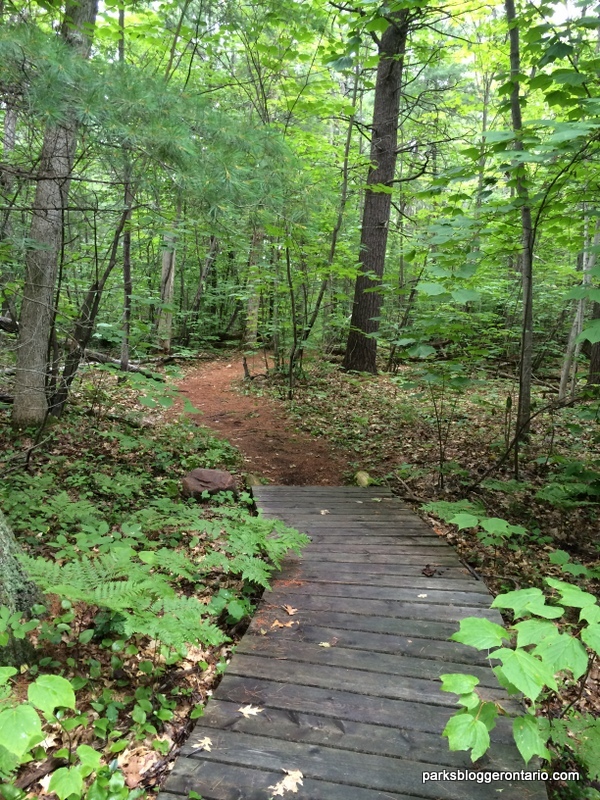 There are six major northern trails. 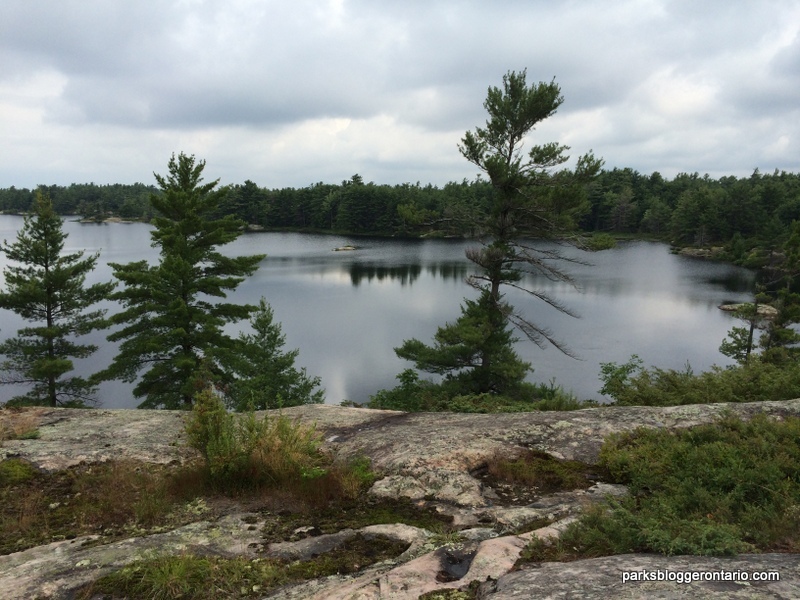 Due to the time limitation and considering the fact that we are not really that fit physically, we had to skip a couple of northern trails (Cambrian and Dossyonshing trails) and planned our hike starting with the Fairy Lake trail and ending with the Tonch Trail. 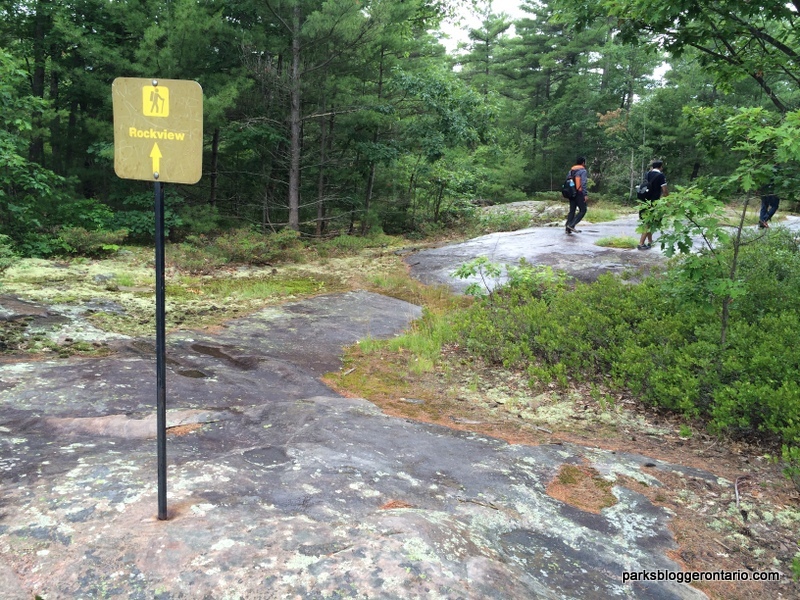 Named as the ‘must hike’ trail in the Parks Canada website, this trail extends around the Fairy Lake and Goblin lake covering the entire perimeter. Though only few parts of the trail are actually close to the lake shores, this trail offers one of the most spectacular views and rocky shores – and thus earns ‘my most favorite trail‘ award. Hikers can also pause to read informational boards kept along the trail that offers a glimpse of the native’s Fairy Lake story. Another reason why I love Fairy Trail so much is because it takes through atleast three bay areas (Frying Pan Bay, Honeymoon Bay and Goblin bay).Bay areas often pose spectacular views over the Georgian bay waters and has docks to anchor your boats. Honeymoon Bay is one of the most beautiful places I have seen in the entire island and it hosts an absolute awesome campground. 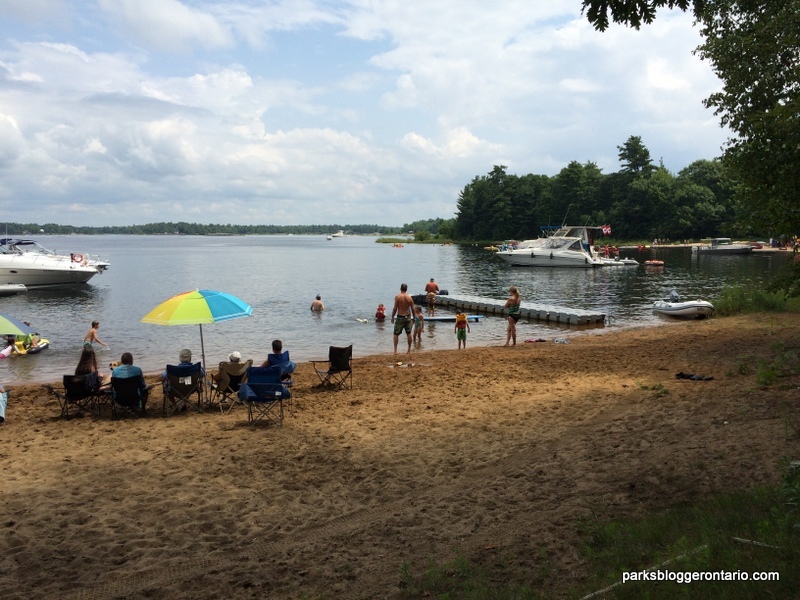 With rocky campsites, clear waters and anchored boats – this location has got into my camping bucket list almost immediately. 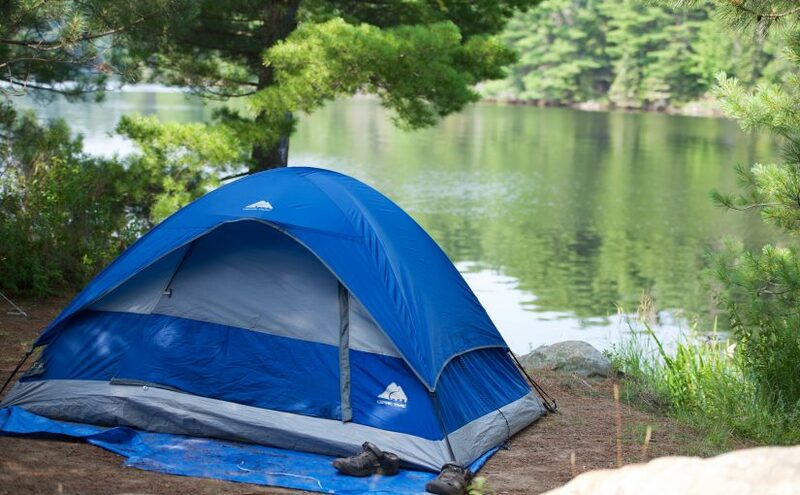 Don’t forget to book this campsite the next time you plan camping at Beausoleil island in Georgian Bay Islands National Park. Rockview trail is about 30 mins long trek connecting to the northern end of the Georgian Trail (that extends all the way to the southern tip of the island). Starting with a rocky geography, the trail soon leads us into the woods. The hikers can catch views of Bay inlets all along the way. Though Georgian trail is primarily a southern trail, a little part of it falls on the northern end. 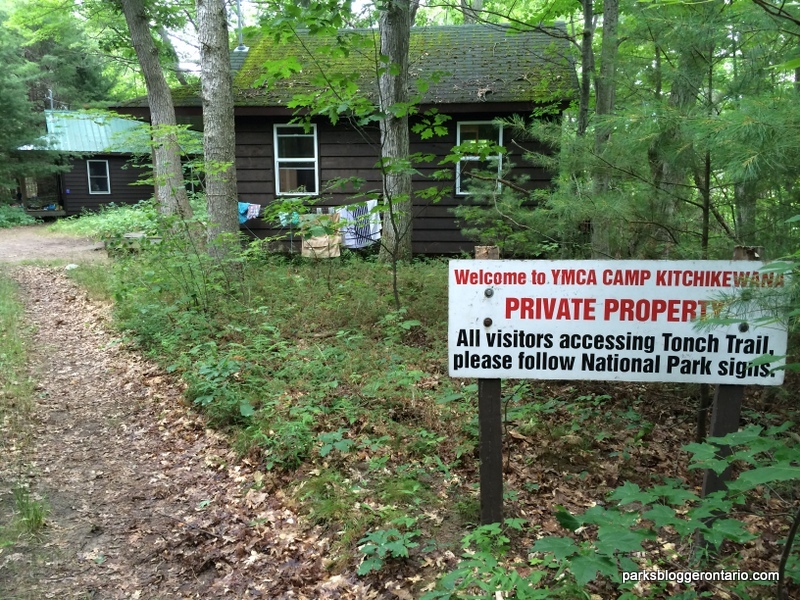 And that little part happen to host the lighthouse near historic Brebeuf island and the nearby rocky shoreline which proves to be an ideal picnic spot to take a lunch break. Tonch East Dock is the eastern most end of the Tonch trail and has docking facility (our water taxi friend Chris suggested us to come here for pickup). 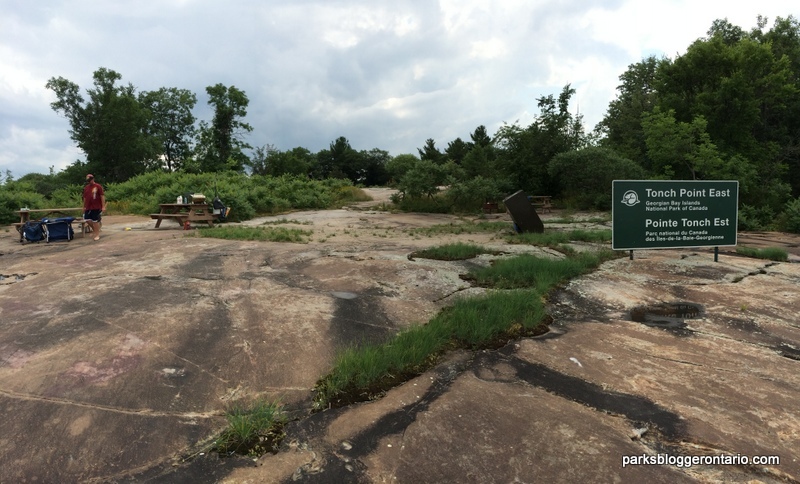 Tonch East also has a campground with about 7 campsites right next to the water body but it wasn’t very well maintained (may be thats how it is meant to be – because Parks Canada website calls them ‘Primitive Campground’). 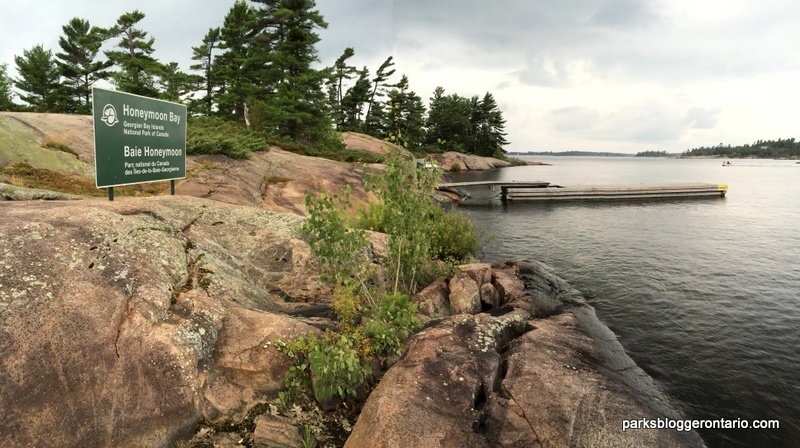 Tonch East also marks an end to our two day hike in Beausoleil Island. 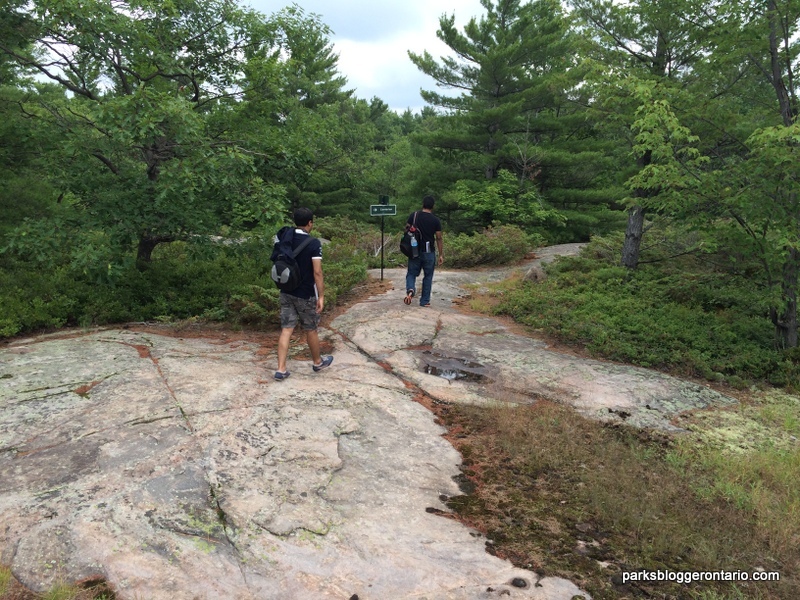 It was a good hike and offered a variety of experiences – from rocky terrain to mosquito rich woods. The best part for me was enjoying the beauty of Georgian Bay waters and exploring the Honeymoon bay campsite. * If you would like to rent bikes from Parks Canada visitors centre, you should reach there early in the morning as there are only limited number of bikes available and are usually rented out quite fast as the day starts.